After tracking down a deadly terrorist cell, former Seal Team 6 and current Carlton Group member, Scot Harvath formulates a plan to infiltrate the cell to stop a string of deadly attacks on American soil. After the mission goes horribly wrong, and more attacks are launched in the heart of America, Harvath must go Full Black to uncover those responsible and bring them to his brand of justice. At the same time, one of Hollywood’s most famous filmmakers is working on a secret documentary and unknowingly exposes one of the world’s most wealthy businessmen as a radical bent on destroying America from within. With time running out, Harvath has no choice but to go dark, trusting no-one, until he can find a way to stop the terrorists in their tracks. 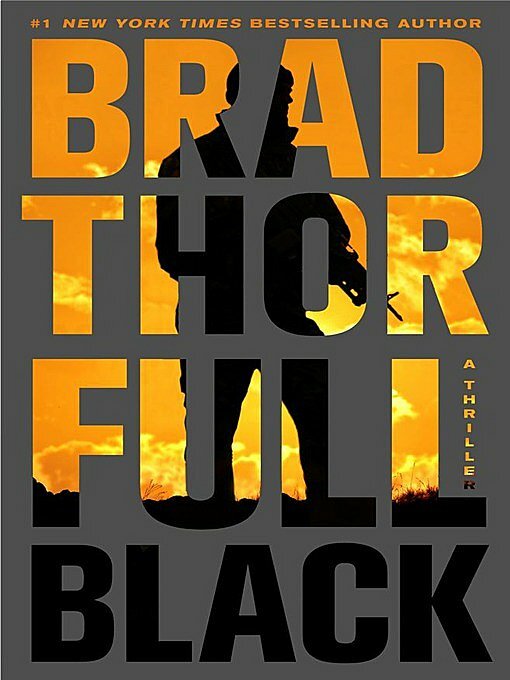 Author Brad Thor wastes no time in his newest thriller, Full Black, launching us straight into the action from the very first scene and holding us on the edge of our seats all the way through to the heart-stopping conclusion. More than just an action thriller, Full Black explores political, financial and national security issues currently being debated on the national news and around our kitchen tables. The scenario presented here is frighteningly realistic and, though it’s a work of fiction, serves as a stark reminder that we cannot become complacent. With non-stop action, international espionage and shocking betrayal, Full Black will leave you breathless. And wanting more. I loved this book, it might be his best one so far!